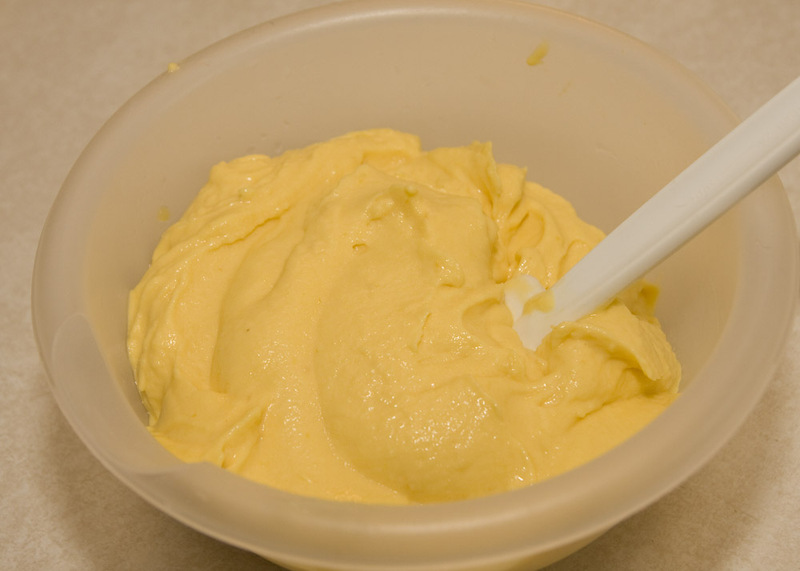 from the blue chair: Pineapple "Ice Cream"
Rather than a sewing post, I thought I would share one of my favorite desserts. I came up with this after watching the Food Network one day (at the gym no less--that's where I always watch the Food Network). They were featuring a place in Hawaii that makes this wonderful pineapple dessert. I figured I could do the same thing in my food processor, so I tried it. It is so fabulous. My daughter calls it pineapple ice cream. 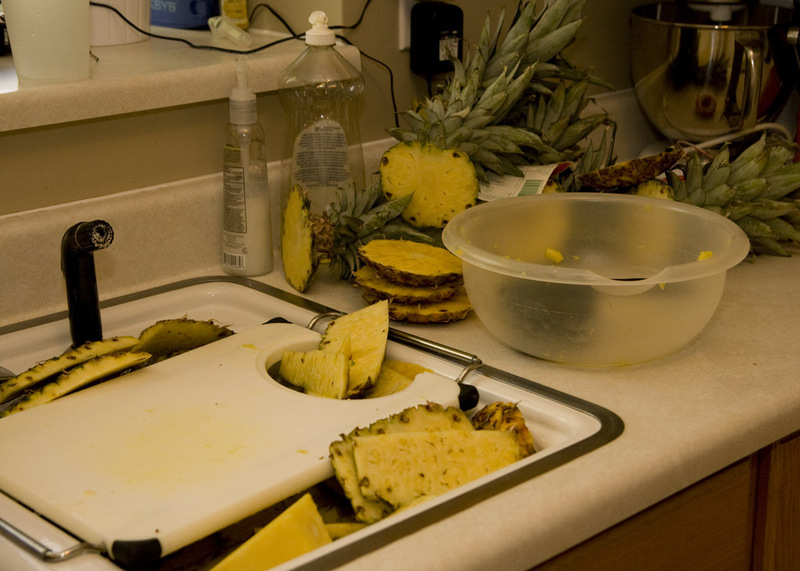 I chop several pineapples at once to freeze. It makes a mess, but you only have to make a mess once. Freeze in Ziploc gallon bags. 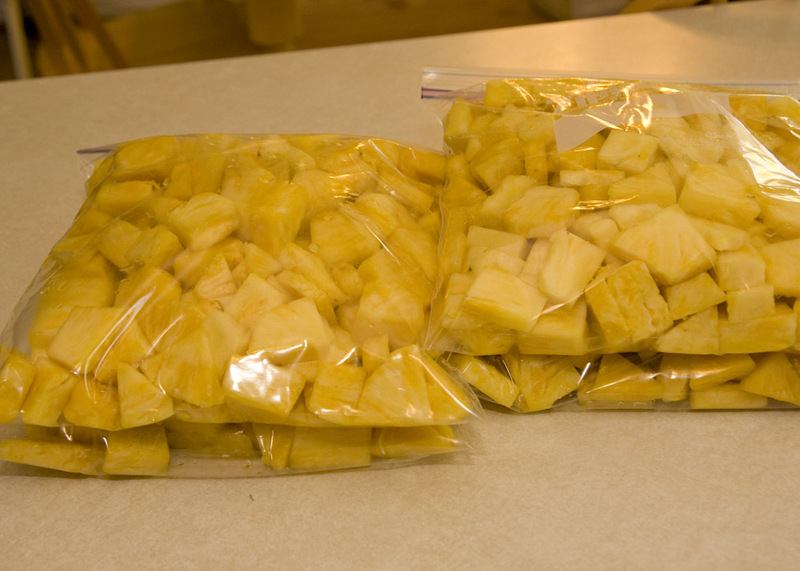 Usually you can fit about 2 pineapples per bag. During the freezing process, pull them out about every hour and shift the pineapple around in the bag. 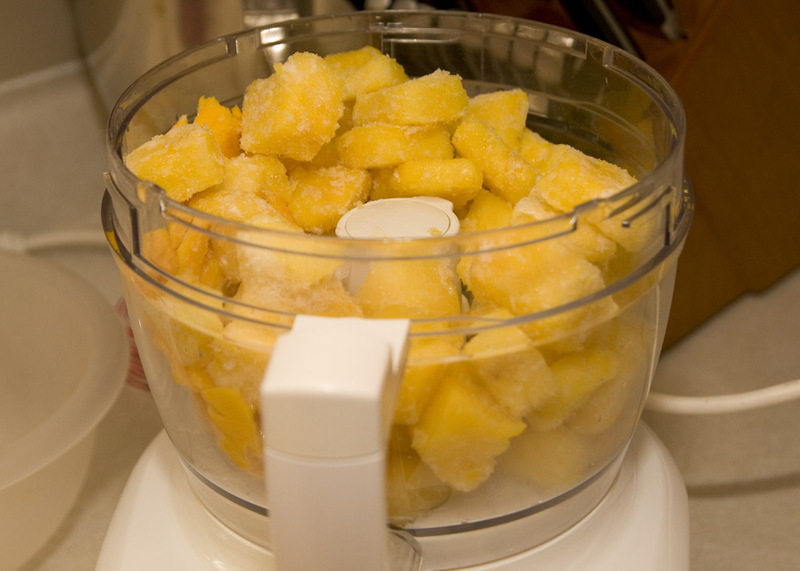 This will help it freeze in individual pieces rather than one huge pineapple chunk. Start mixing. You may have to smash it down several times. 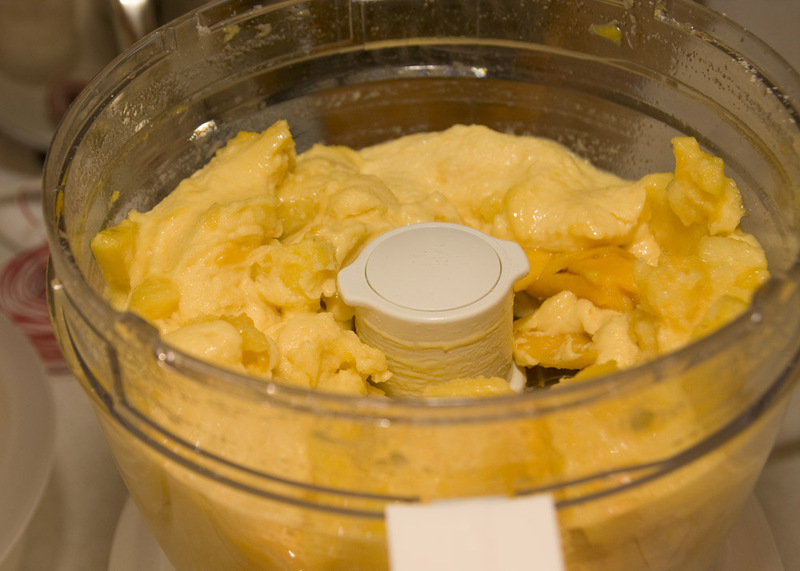 The large chunks get stuck at the top and sometimes have a hard time mixing in. Just smash them down with a rubber scraper. Almost Done! 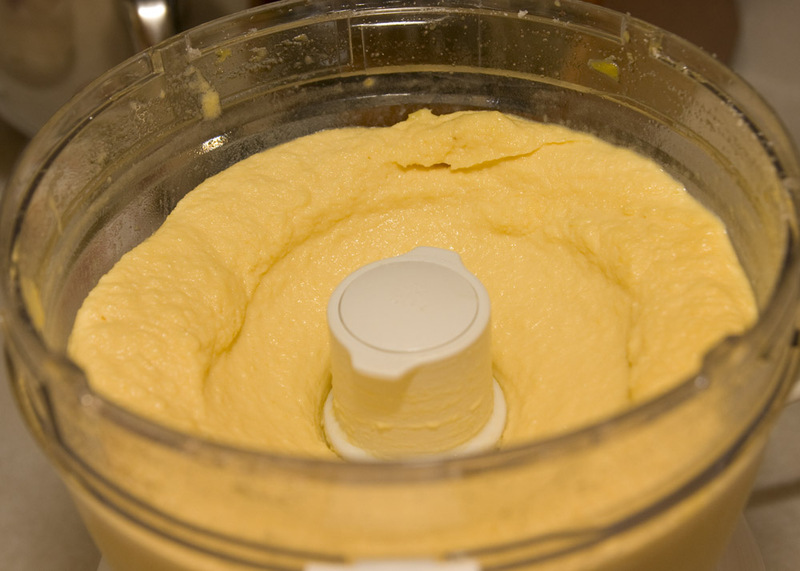 Keep mixing until completely smooth and the consistency of soft-serve ice cream. Taste and add a bit more sugar if needed. Mix again until sugar is incorporated. Store in the freezer. Like homemade ice cream, this is best immediately. It gets pretty hard in the freezer. Use within a few days. Enjoy! My SIL has made something similar to this with frozen bananas. We've also added some frozen mango to the pineapple for a change, and it's great too. this is so good. WE eat it regularly and love it! Yum!! Like a fruit sorbet!! Funny how all our cold weather has me craving icecream.. I bet this would hit the spot nicely! This looks delicious! I love fresh pineapple. yum. this looks SO good! Oh, I am so going to have to try this! So simple... Why didn't we think of this sooner? yummmm!! !Its summer here so that would go down a treat. I stumbled here...i am not sure where from..your work is gorgeous....i look forward to popping in again.. 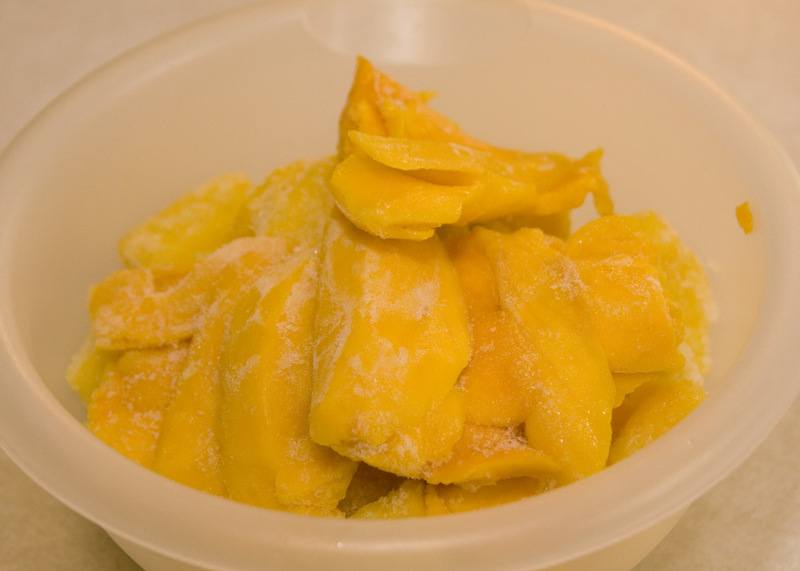 I love tropical fruit and pineapple is my favorite! This is such a great idea to make icecream with them! I gotta try this soon! Thanks for linking this up to Sweets for a Saturday. I truly appreciate your support and hope that you'll be able to join in again next Saturday. By then I'll have a cute button that you can grab. 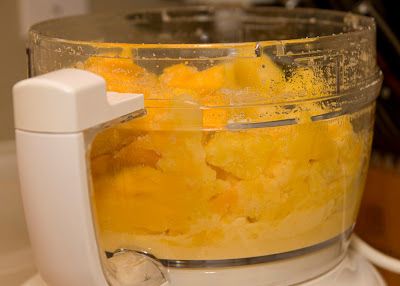 Thanks for the post - I have had the pineapple frozen dessert in Hawaii and I am excited to try this.